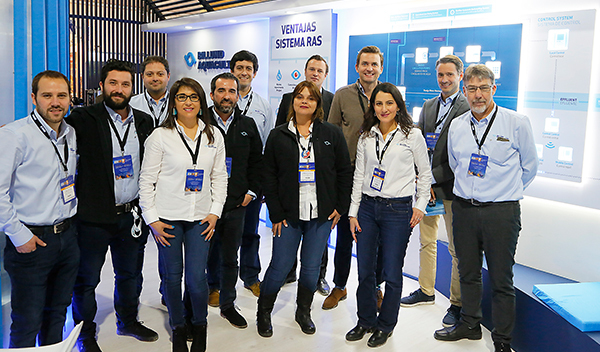 Consolidating our leadership position in Chile, our company participated in the most important aquaculture fair held in the southern hemisphere, which took place in the city of Puerto Montt, in southern Chile, between October 17th and 20th. 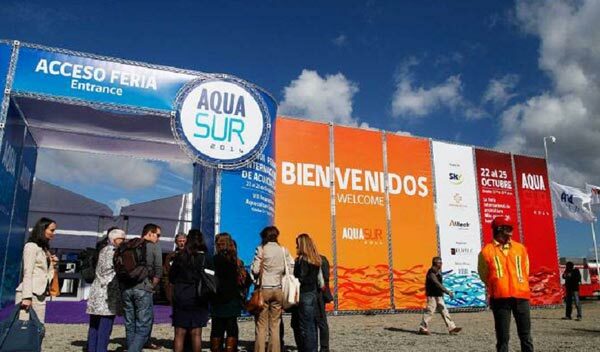 Our company was actively engaged all four days in an event that brought together the main national and international companies and stakeholders involved in the aquaculture industry. Sporting a revamped brand identity, our company unveiled its technology, services, track record and success stories in an innovative stand that gathered several industry representatives, including the participation of our Chairman, Christian Sørensen, our partners from Broodstock Capital, and the Billund Aquaculture team from Chile, who were in charge of running the stand. Christian Sørensen also spoke in the AquaForum Conference, where he presented the history behind the company’s flagship projects and historical challenges around ongrowing, as well as the RAS salmon production projections for the next 15 years. Billund Aquaculture Chile CEO, Marcelo Varela, pointed out that the amount of visitors seen at our stand exceeded all expectations, making it a meeting point for several different audiences and decision makers, sparking conversations about what is currently going on in Norway, the benefits of RAS systems, RAS salmon production trends around the world and the great moment the Chilean aquaculture industry is currently going through thanks to its steady growth, which has also led to increased investment in the sector. Our company’s new corporate identity was greatly embraced by the entire industry, as was our stand and the great team that worked at the tradeshow. This served to further strengthen our position as a solid, committed company, a company that has been providing innovative solutions for the development of a new form of aquaculture for over 30 years. Under the framework of this promising scenario, we are already preparing ourselves for AquaNor 2019.